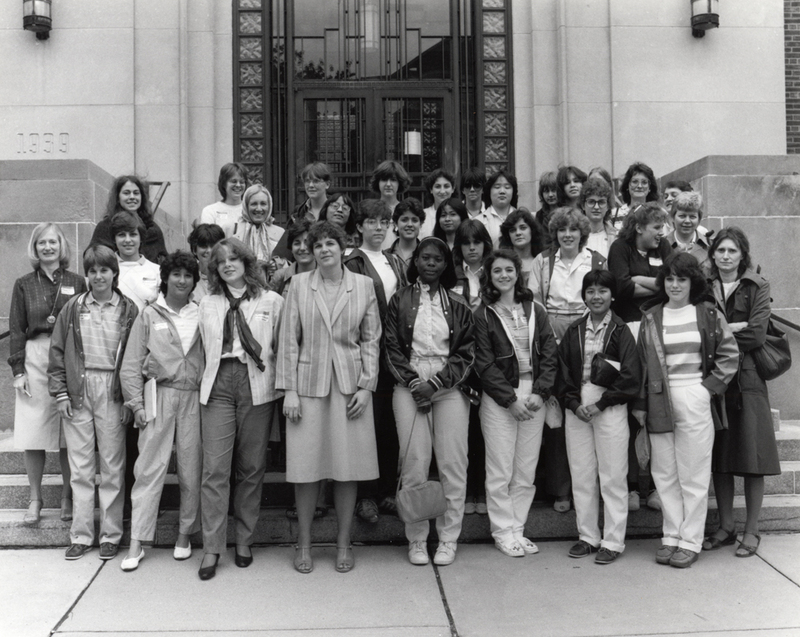 In the late 1980s a group of women faculty at the University of Michigan expressed concern about the severe underrepresentation of women in undergraduate science, technology, engineering, and mathematics (STEM) disciplines. For several years, these women conducted ad hoc programming efforts to recruit and retain women in these concentrations. 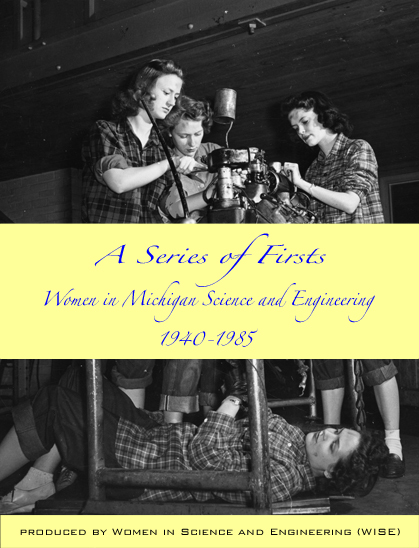 In 1980, supported by a small research study that documented very similar high school mathematics and science accomplishments for incoming Michigan women students, the women faculty approached the central administration to establish a permanent Women In Science and Engineering (WISE) Program. The University agreed, and Dr. Barbara Sloat, a research scientist in biology, was the first director. 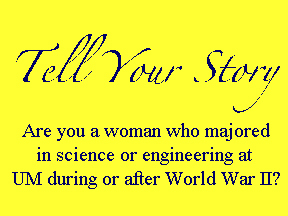 Housed in the Center for the Education of Women, the WISE Program first focused on the issues of undergraduate women. Slowly, however, WISE expanded to include considerable pre-college outreach efforts as well as confront graduate women recruitment and retention issues. Dr. Cinda-Sue Davis, a biochemist, became the director in 1984. In 1993, the WISE Residence Program (WISE-RP) was launched. This living-learning program, a joint undertaking by the Housing Division and the WISE Program, had 150 first year women in STEM fields living contiguously in the same residence hall. There were study groups, WISE program nights, and a community of like-minded individuals supporting each other. Longitudinal assessment has shown that women who spend just their first year in the WISE-RP are more likely to graduate with a STEM degree than those who do not. In 2002, the WISE-RP was named a “National Exemplary Program” by the congressionally mandated Building Science and Engineering Talent (BEST) Committee. Currently, the WISE-RP is located in Mosher-Jordan Residence Hall. Today, WISE serves girls and women from the pre-college years through graduate study with a host of offerings tailored to their needs. WISE provides programmatic support, research, and advocacy, which has made it a national model for mentoring women who are interested in the enormous career opportunities available in the STEM fields. During the academic year, the WISE Program offers to undergraduate and graduate women students a number of workshops and informal meetings to explore, understand, and learn how to cope with special pressures or barriers they may face. In addition, WISE collaborates with or supports several student organizations that share a similar mission. WISE also sponsors several summer programs for middle school girls as well as FIRST Lego Robotics teams. Some years more than thirteen-hundred girls have come to our campus to meet with faculty and students, tour our facilities, and engage in hands-on activities. The WISE Program has received formal recognition, including a National Science Foundation Recognition Award for the Integration of Research and Education in 1997 (RAIRE) as well as the Presidential Award for Excellence in Science, Mathematics, and Engineering Mentoring in 2000. WISE was also given a Model Diversity Program Award from the University of Michigan in 1991 and a “Can-Doer” Award in Recognition for Excellence and Innovation in Science Education from the Michigan Technology Council in 1993. Today, the program highlights have included coordinating campus-wide forums, coordinating Sally Ride Science Festivals, hosting exhibits, and providing research opportunities. To the women profiled in this book, such a comprehensive institutional effort might have been unimaginable. It is due to the intellect, sacrifices, tenacity, and spirit of the early achievers that WISE continues to serve generations of women who aspire to careers in engineering, mathematics and the sciences.